Cosmetic hair treatment with restructuring and shining effect. Its fluid and light consistency ensures extra shine and a lasting not greasy wet look. 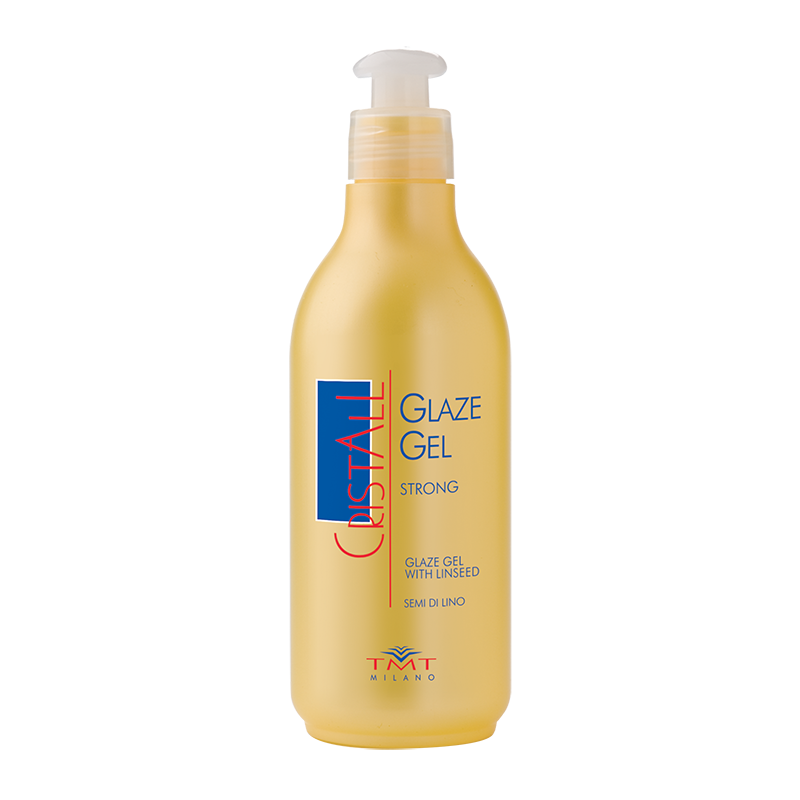 Glaze Gel wraps hair and helps create complex hairstyles without making hair heavy. Particularly suitable for medium and short cuts to enhance the shine and the movement of the locks. It contains UVB and UVA sun filter. No gas hairspray with smoothing, polishing and anti-humidity effect. It holds hair in a natural way, restoring the proteins and the vitamins essential to hair vitality and beauty. 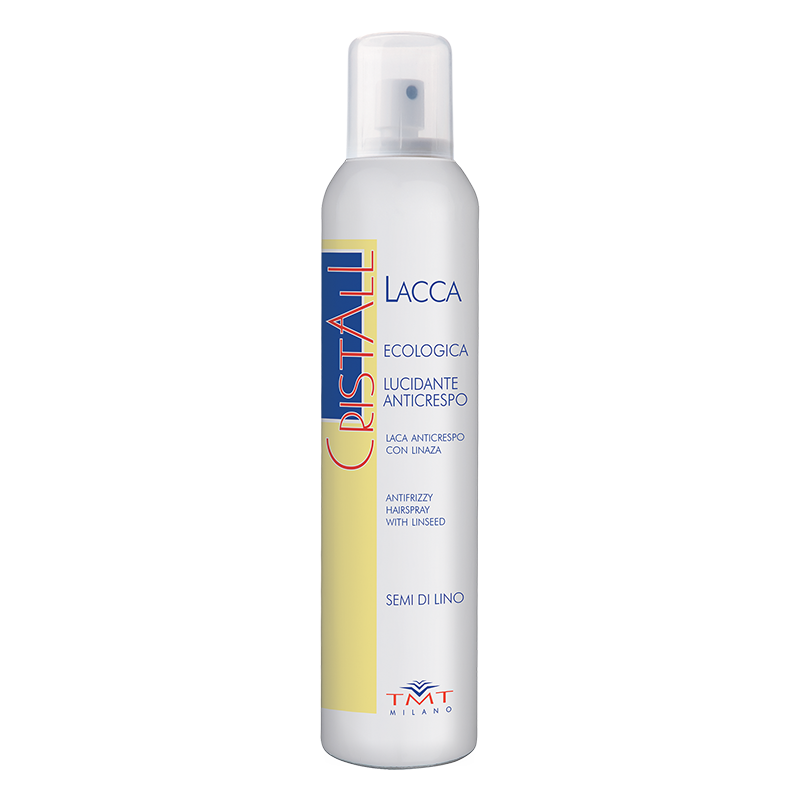 How to use: Spray in small amounts on all hair from a distance of approximately 25 cm. Cosmetic mask for dry, weak and broken hair, damaged by external agents or aggressive treatments such dyes, bleaching and perms. Its restructuring, polishing and shining action protects hair, restoring the proteins and the vitamins necessary to make it beautiful and vital. 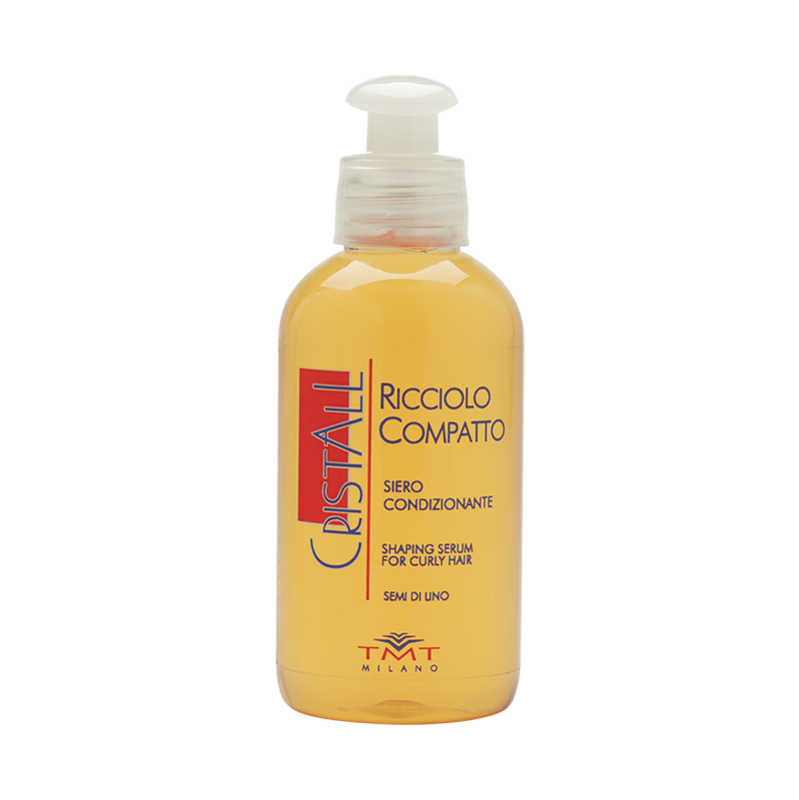 How to use: Apply on damp hair after a wash with Cristall Shampoo, distribute well with fingers or with a comb and massage delicately to facilitate the absorption. Let it act 5/10 minutes, then rinse only with water. As extra nourishing pre-shampoo treatment, apply the mask on dry hair, let it act 10/15 minutes, then wash hair with Cristall Shampoo. 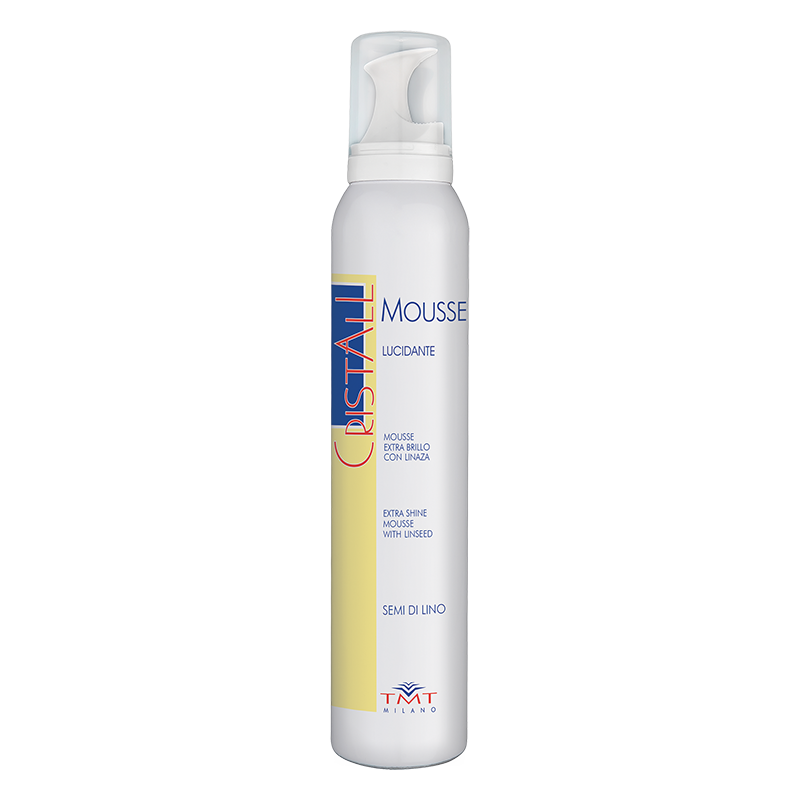 Mousse with polishing, smoothing and restructuring action. It nourishes hair and restores the proteins and the vitamins necessary for its original vitality and beauty. How to use: Apply small quantities to dry or damp hair, distribute well with fingers or with a comb and massage delicately to facilitate the absorption. Waterproof, you can easily remove it by shampooing. WARNING: Pressure bottle. Protect it from sun rays and from a temperature higher than 50 °C. Do not spray on fire or on incandescent material. Do not smoke. Keep out of the reach of children. Ricciolo Compatto shapes the curl, making it compact, light, manageable and bright. It creates an amazing style immediately without making hair heavy. The extra-moisturizing formulation nourishes hair from roots to tips restoring the right balance and giving softness. 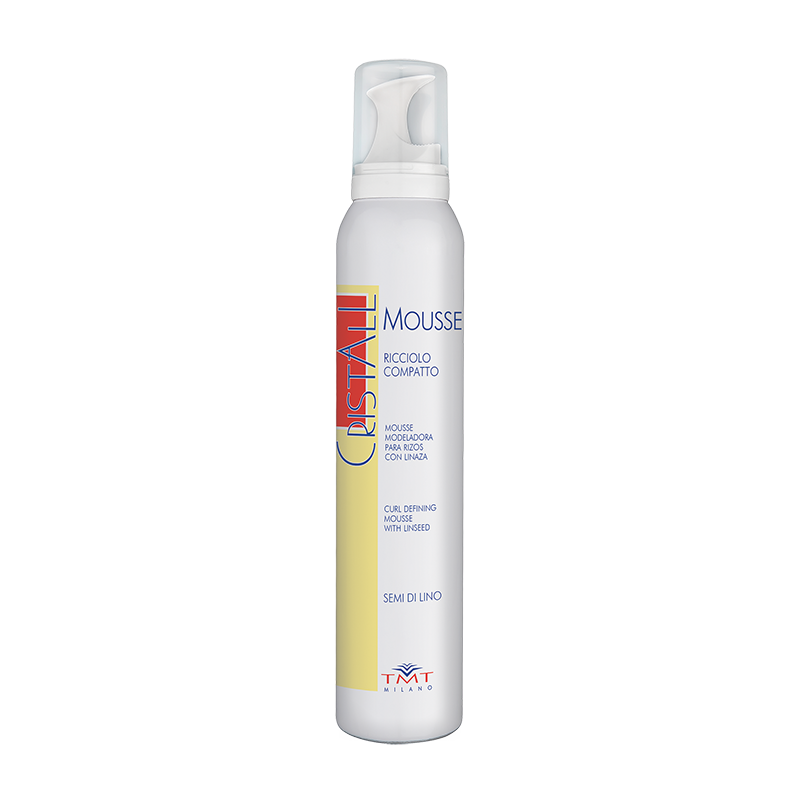 How to use: spread the product on damp or dry hair with fingers or with a comb. Style without rinsing.